Rose Wonder is a Beautiful way to Share Wedding Wishes! It's that time of year to celebrate marriage! What a perfect way to send wedding wishes with Stampin' Up! Rose Wonder Stamp Set. Stampin' Up! Rose Wonder Stamp Set is perfect for this Color Challenge. This challenge inspired me to create this beautiful card for a special wedding! The Rose Wonder Stamp Set was sponged with Rose Red Ink. The Rose Wonder Stamp Set coordinated beautifully with the inside of the card created with the New Floral Affection Textured Impressions Embossing Folder. 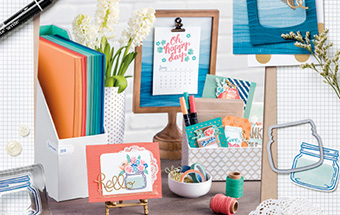 Check out these products and more in the New Annual Catalog! I want to share with you how easy it is to create beautiful images with the Rose Wonder Stamp Set! Start with cutting two Basic Black Cardstock 5 x 6 1/4, two Melon Mambo Cardstock 4 3/4 x 6, and two watercolor paper 4 1/2 x 5 3/4. Create a mask from Whisper White Cardstock by stamping in Smokey Grey the large rose image. Cut around image with paper snips. Cut off large set of leaves from Rose. Stamp rose image in VersaMark Ink. Place mask over stamped image to stamp accompanying roses in VersaMark ink to appear behind the center rose. Heat emboss with clear embossing powder. Sponge roses in Rose Red Ink and leaves in Garden Green Ink. To create the darker red center I layered the ink by several stampings with the sponge. Then worked around the center by lightly sponging. Then sponged the edges working my way toward the center on a portion of the flower. To create the effect of the roses behind I sponged heavier to contrast the lighter rose on top. Repeat technique on all roses and leaves. Stamp a single rose image on watercolor paper in VersaMark Ink. (the mask is placed only to show the image stamped). Heat emboss with clear embossing powder and sponge image with Rose Red Ink and Garden Green Ink. Cut out image with paper snips. Elegant Dots Textured Impressions Embossing Folder on Whisper White Cardstock can be used for background behind roses. Arrange roses onto matted cardstock. To create the inside of the card I want to show you an easy way to ink dry embossed images. Sponge Rose Red Ink for flowers and Garden Green Ink for leaves onto the new Floral Affection Textured Impressions Embossing Folders. Use baby wipe around image to remove any unwanted ink. Place folder at an angle at corner of watercolor paper. Put through Big Shot Machine. Sponge around image in Rose Red Ink. Repeat on opposite corner. The ink on the embossing folder washes off easy with water! Create sentiment tag for front of card by stamping frame in Tuxedo Black Memento Ink and sentiment in Rose Red Ink. Die cut frame with Rose Garden Thinlets Die. To create inside sentiment tag, stamp sentiment in Rose Red Ink on Whisper White Cardstock. Die cut with Lots of Labels Framelits and mat on Basic Black Cardstock. For front of card adhere stamped rose images with dimensional tape and place sentiment in center. Layer dimensional tape under the rose image that you want to appear on top of the rose bouquet for a beautiful depth to your card! For the inside adhere the sentiment tag to the center. Send your wedding wishes with this beautifully created card!